Charles Band does love the little, especially when it’s been hand-carved. One only has to look to the never-ending PUPPET MASTER series to see his compulsion writ large across the screen. DOLLS predates the above franchise but clearly sows the seeds for it. 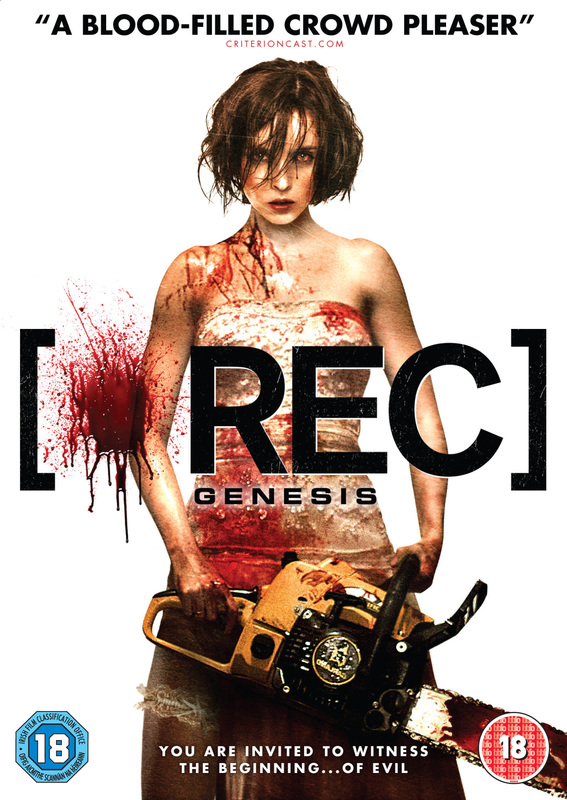 It’s also directed by Stuart Gordon, a man who is more often to be found being grotesque rather than cute. 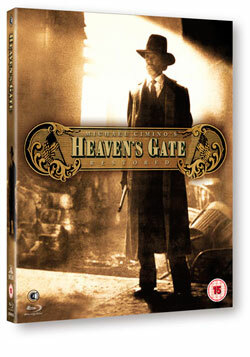 A group of travellers find themselves stranded at a Gothic house during a storm: young Judy (Lorraine); her loathsome father and stepmother (Williams and Gordon), the amiable Ralph (Lee) and a pair of rather unbelievable punks (Stuart and Bailey, the latter more well known for managing to consummate a love interest with a pencil drawing of Morten Harket in the video of a-ha’s ‘Take on Me’). The house is owned by a pair of eccentric British pensioners (Rolfe and Mason) and heavily populated by homemade wooden toys. Naturally, it’s not long before the toys are on the prowl. 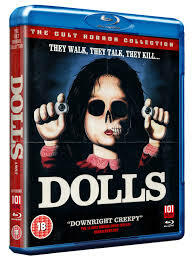 DOLLS is a jolly romp, aiming for humour as much as horror. The characters are broad. Stuart and Bailey, despite both being English never quite manage to convince us of the fact with their ‘cockney’ accents and Gordon comes straight from the Cruella De Vil school for stepmothers. But this is all part of the colourful, EC Comics tone. For fans of Gordon’s fleshier pictures it may seem somewhat tame but what it lacks in body horror — or teeth of any kind really, the toys are not particularly creepy and Rolfe is the most amiable villain imaginable — it makes up for with charm and wit. It’s simple, well-executed fun. 101 Films are scheduling some marvellous little treasures as part of their Cult Horror Collection (this and the superb LORD OF ILLUSIONS launches the line). They’re definitely a label to watch this year. 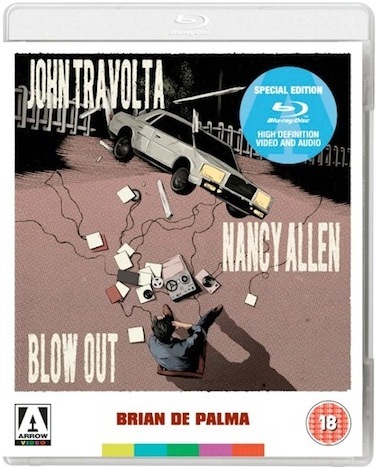 The blu-ray looks and sounds excellent, and, as added value, comes with a commentary track from Gordon.